Jennifer Lawrence overshares, Miley Cyrus sings with a cat, and Maya and Sir Chief go on their honeymoon. 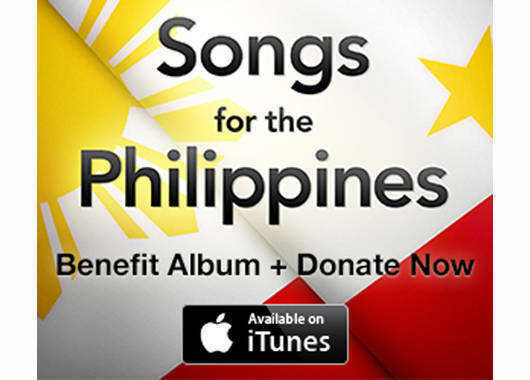 Plus: how you can help Yolanda victims through iTunes. (SPOT.ph) The girls are stealing the limelight, from Jennifer Lawrence’s funny and revealing interview to Ryzza Mae’s new movie to Miley Cyrus’ perplexing AMA performace. Justin Timberlake joined the most exclusive club in New York when he hosted SNL for the fifth time. He was welcomed into a lounge where the five-time hosts hang out, wearing smoking jackets and watching a Django Unchained-style death match. The monologue turned into a who’s who of comedians and actors, with cameos by Steve Martin, Chevy Chase, Martin Short, Paul Simon, Dan Akroyd, Alec Baldwin, Tom Hanks, and Candice Bergen. We love Jennifer Lawrence’s zaniness, candor, and lack of vanity. When she stopped by the Late Show with David Letterman, she went into detail about her gastrointestinal problems that forced her to cancel morning appearances to promote the new Hunger Games film. "I just had this really bad pain for, like, three weeks," she told the host. "And you know you can only s**t your pants so many times a day before you go to the emergency room, before you’re like ’I need to go to the hospital.’" Her series of overshares left Letterman speechless. 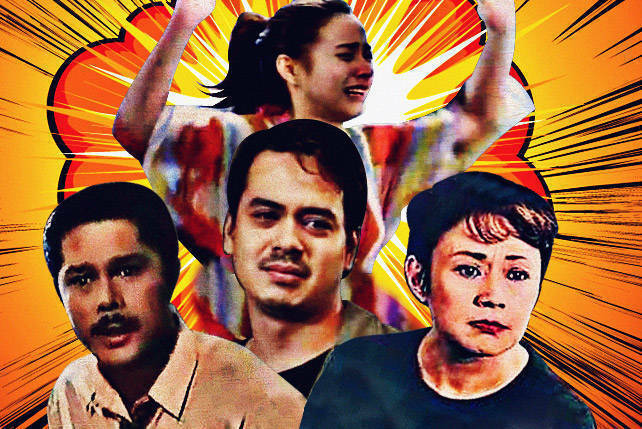 This year’s AMAs had plenty of buzzworthy moments. Katy Perry kicked off the night with a Japanese-inspired performance. Rihanna received the Icon award. TLC reunited to perform "Waterfalls," with Li’l Mama stepping in for Lisa "Lefteye" Lopes. Lady Gaga got down with R. Kelly in the Oval Office. And Miley closed the show with a strange performance of "Wrecking Ball" with a giant lip-synching cat. Fresh off his title win, Manny Pacquaio faced a more formidable opponent after his bank accounts were reportedly frozen in relation to a P2.2-billion tax case. He has filed an appeal on the warrant of garnishment issued by the BIR on his assets. Despite his tax case, the congressman said he will still fulfill his promise to personally deliver aid to areas devastated by Yolanda, even if he has to borrow money to pay for relief goods. Record labels Sony, Warner Music and Universal have put together a genre-spanning compilation album called Songs for the Philippines. The album features 39 hit songs, such as Justin Timberlake’s "Mirrors", Katy Perry’s "Unconditionally", and Beyonce’s "I Was Here". It also features classic tracks like The Beatles’ "Across the Universe", Bob Dylan’s "Shelter from the Storm", and Madonna’s "Like A Prayer". Part of the proceeds from the all-star album will go to the victims of super typhoon Yolanda (international name: Haiyan) through the Philippine Red Cross. The album, which costs $9.99, is now available worldwide on iTunes. A reformed party girl finds herself an insta-family after falling in love with a man with three manipulative children and two judgmental ex-wives. In this week’s episode, Sir Chief and Maya go on their honeymoon trip to Japan. A few mishaps don’t get in the way of romance, and soon, they are seen kissing. But anything that happens after that is left offscreen. Cut to the next morning when they wake up in bed under the sheets. In keeping with the tone of the show, their honeymoon night was still quite wholesome. Child actors Ryzza Mae Dizon and Bimby Aquino Yap will star in My Little Bossing, along with Vic Sotto and Kris Aquino. Ryzza shares that it wasn’t easy to talk to Bimby at first because he speaks English and she speaks Tagalog. But now they’re teaching each other English and Tagalog words. Talk about cute overload. During the Results Night, Blake Shelton and his team-Cole Vosbury, Ray Boudreaux, and Austin Jenkes-joined forces for a rousing rendition of ZZ Top’s "Sharp Dressed Man" (also known as the Duck Dynasty theme song). It was the perfect song for the boys and allowed them to showcase their great voices, guitar skills, and rugged charm. In season 4 of The Walking Dead, we watch the two leaders of the post-apocalypse-Rick and the Governor-attempt to bow out of leadership, only to end up back in their respective thrones. In this week’s episode, the Governor rises to power yet again with a new group of survivors.